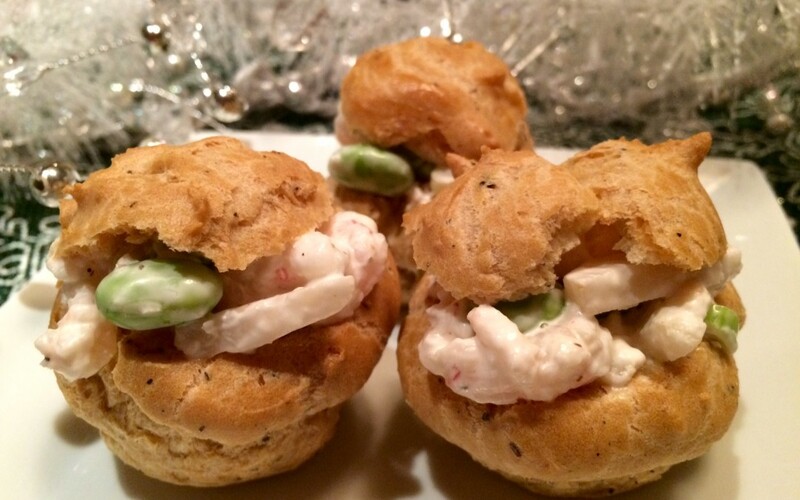 Shrimp filled puffs have been a staple at my family's gatherings. I've given them an update by adding edamame and water chestnuts to add color and texture. I've also added a blend of toasted sesame seeds and sea salt called Gomasio to my puff dough to give a taste of the Orient. Heat oven to 400'. Place butter, water and Gomasio in a heavy-bottomed saucepan and bring to a rolling boil. With a wooden spoon; stir in flour, stir vigorously over low-heat for about 1 minute or until mixture forms a ball. Remove pan from heat. 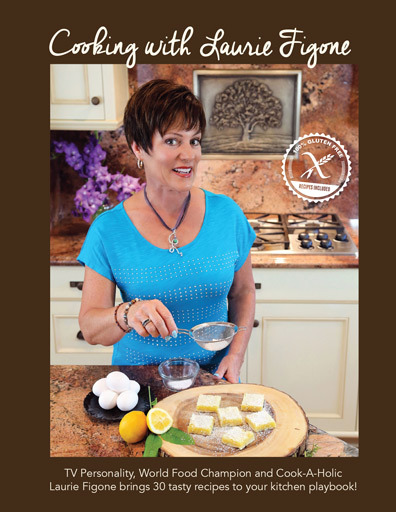 With a wooden spoon; vigorously beat in eggs one at a time, beating until mixture comes together into a smooth ball. Drop tablespoon size mounds of dough on ungreased baking sheet. Bake for 40 minutes, rotating pan half-way through baking time. 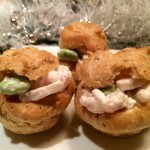 Remove from oven and carefully slice off top of puffs to let steam escape, saving tops. Scoop out any soft dough from inside of puffs. Let puffs cool. Note: They may be filled or frozen for later use. Shrimp Edamame Filling: In a mixing bowl stir together-shrimp, water chestnuts, green onions, pepper, edamame, mayonnaise and lemon juice. Keep refrigerated until serving time. 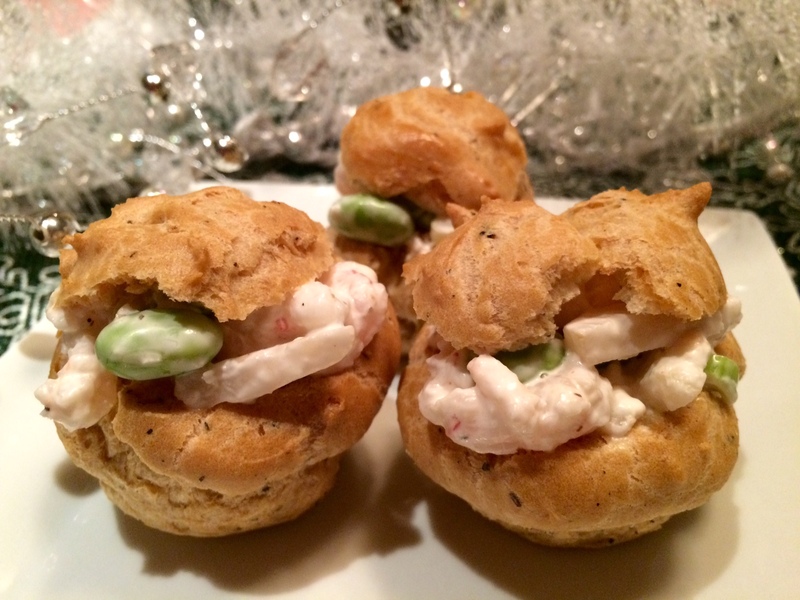 Divide filling between puffs and serve. Note: They can be filled up to 3 hours before serving; keep refrigerated until serving time.